Top CDs Danielle Eeskinazi & Lisa Ystrom Host Child Actor Workshops at LA Film and TV Worshops in Studio City. These acting Workshops are designed for Kids ages ages 6 to 18 years and are held at LA FILM & TV Workshops in Studio City. Top Commercial Casting Director Danielle Eeskinazi will host a workshop on Saturday, April 11, 2015, at 12 p.m. This class is perfect for kids who want to lean about national commercial castings. Only $35 for this great opportunity! 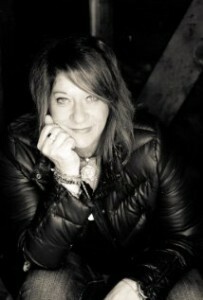 Top Casting Casting director Lisa Ystrom works on a hit ABC Family show. Cost of her workshop is only $35! Email Tracy Esposito at Tracy@Tracyespo.com or call 818-623-7022 for more details. Danielle is an award-winning casting director with more than 20 years casting films, television, theater, and commercials. Danielle has cast David Bowie, Rosanna Arquette, Woody Harrelson, Hank Azaria and Milla Jovovich. After several years of casting films, Danielle dove into the fast-paced world of commercials. Today Danielle Eskinazi Casting has cast over 3,000 national and regional spots and is known for finding edgy, interesting, and talented actors to suit her directors’ and clients’ needs. Danielle has been nominated for the TMA’s Seymour Heller Award for Best Commercial Casting Director of 2009, and was a runner up twice for Favorite Commercial Casting Director. Danielle teaches workshops like these, and speaks on panels including one at the SAG Foundation. Danielle is also affiliated with the AFI Women’s Program, helping first-time directors cast their shorts. She also writes a monthly column, has created an online advice service for actors and created an app intended to help actors land roles! Lisa is the head casting director on ABC’s new show “Young and Hungry,” with more than a decade of experience in casting. Her previous casting credits include “NCIS,” “Everybody Loves Raymond,” “My Big Fat Greek Wedding,” and more which you can review on her IMDB page. Lisa began as an assistant on the last season of Seinfeld at Liberman/Hirschfeld Casting. She went on to work with offices including including Lisa Miller-Katz, Slater/Brooksbank, and Risa Bramon-Garcia before partnering with Tim Payne in 2009.